Gulfood, the world’s leading annual food and beverage exhibition, returns to Dubai World Trade Centre (DWTC) from 18 to 22 February 2018. 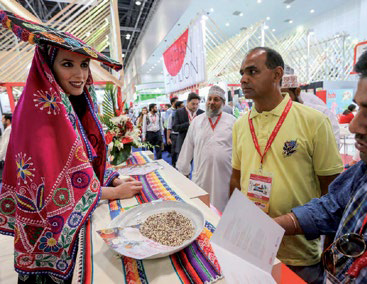 With more than 5,000-plus exhibitors expected at the 23rd edition of the event, Gulfood 2018 will feature more than 120 country pavilions and more than 1,000 new-to-market products on display. 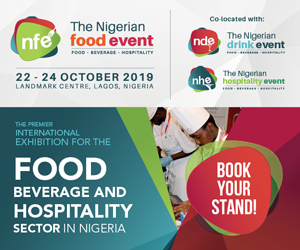 This show really is a must-attend for anyone connected with the food and beverage industry. The major highlight of this year’s show is the launch of the Gulfood Discover Zone – a dedicated area designed to optimize visitor experience and amplify business opportunities. Within the Discover Zone, exhibitors from six of the shows sectors, plus confectionary and snacks, will be able to apply for recently-launched products to be showcased in an exclusive and interactive lounge to demonstrate their offerings. The lounge will have a blend of physical products and virtual displays and QR code scanning for products. Finalists as well as shortlisted products for the Gulfood Innovation Awards will also be showcased in the Gulfood Discover Zone in Zabeel Hall 4. Another feature of the show is the Newcomers Area located in Zabeel Plaza. The innovative new zone will feature a dedicated area for companies that have never conducted business in the MENA region before and are using Gulfood as a market-entry opportunity. Gulfood 2018 will see the unveiling of the much anticipated and in-depth outlook report for the global F&B industry. The Gulfood Global Industry Outlook Report 2018 is a powerful business decision making tool and will be will be free-of-charge and exclusive to delegates and exhibitors at the show. 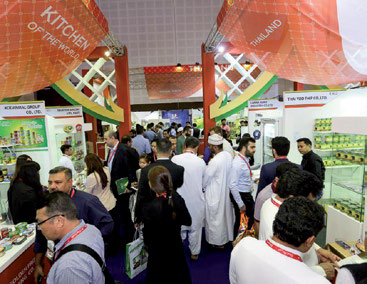 The outlook comes in an in-depth report compiled by the market intelligence research leader Euromonitor International, and commissioned by Dubai World Trade Centre, which organises Gulfood. This independent report sets out estimates and prospects for the industry, which have been prepared following a Euromonitor market study based on various official published sources and trade opinion surveys conducted with importers, local and global manufacturers, distributers, trading associations, retailers, food service providers within key industry sectors and government entities. Recognising creative industry leaders, the ever-popular and industry-benchmarking Gulfood Innovation Awards will honour new and improved innovations and technologies being adopted by the thousands of local, regional and international exhibitors participating at the exhibition in a glittering gala ceremony on the evening of Sunday, 18 February. 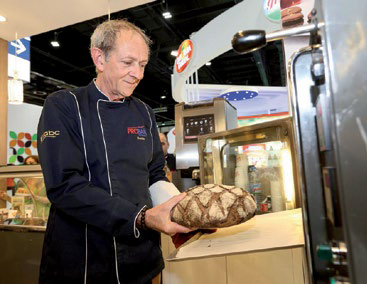 With more than 300 entries, a panel of prestigious industry leaders will be presented with product display and tasting for the judging session to be held on Wednesday, 7 February. The judges will decide who takes the honours in categories such as Best Soft Beverage; Best Hot Beverage; Best Dairy Innovation; Best Meat Or Poultry Innovation; Best Baked Or Confectionery; Best Condiment Or Sauce; Best Frozen Or Chilled Food; Best Halal Food; Best Organic Product; Best Health And Wellness Product and Best Consumer Promotion Product. The panel of esteemed judges will include Ariana Bundy, celebrity TV chef and personality; Uwe Micheel, President of The Emirates Culinary Guild; Nikola Kosutic, Head of Research Middle East at Euromonitor International; Sunjeh Raja, Director & CEO International Centrew for Culinary Arts Dubai (ICCA); Claudia De Brito, Editor of Caterer ME (ITP); and Kirti Meghnan, Group Procurement Manager at Choithrams. Gulfood 2018 will highlight the five pillars of taste through feature demonstrations and sampling activations to help potential buyers and sellers experience the tastes they are looking for: from salt, bitter, sweet, sour and umami, the platform will satisfy every palate. This year’s show plays host to the Ibrik World Coffee Championships, which will see the world’s leading baristas coming together in one location and competing to be crowned the world’s best. The competition, dedicated to the centuries-old art of brewing coffee in a ‘Cezve’ or ‘Ibrik’ – the small, long-handled pot – showcases the special preparation of brewing coffee, set in a competition format that celebrates the cultural tradition. Competitors are encouraged to bring their own style/cultural element to their performance to demonstrate how they interpret what is one of the oldest forms of preparing coffee in parts of Eastern Europe, the Middle East and North Africa. Spectators and visitors will also be treated to live demonstrations and catch up on business at the brew bar. In addition to the Ibrik World Championships, Gulfood 2018 is hosting the Emirates Culinary Guild International Salon Culinaire – the largest single-entry chefs’ competition in the world. Structured as a series of practical and display-based culinary challenges or ‘classes’, this globally renowned annual contest gauges the diversity of entrants cooking skills and pushes the boundaries of modern-day food preparation and presentation. Evaluated by a panel of 30 international experts and mandated by the World Association of Chefs Societies (WACS), the Salon Culinaire provides credible industry recognition to more than a thousand master chefs, pastry chefs, cooks and bakers. The Salon serves to inspire and encourage young chefs to continue striving for improvement in their profession. Exhibitors and visitors alike can capitalise on their presence at this year’s show by using Gulfood Connexions – an online platform that helps you plan your visit in advance. The feature allows users access to the online exhibitor directory to pinpoint who they would like to meet, before the show starts. Once selected, users can schedule an appointment as well as navigate the location of their target exhibitor on the floor plan. Users can also print a copy of their planner before heading to the exhibition. 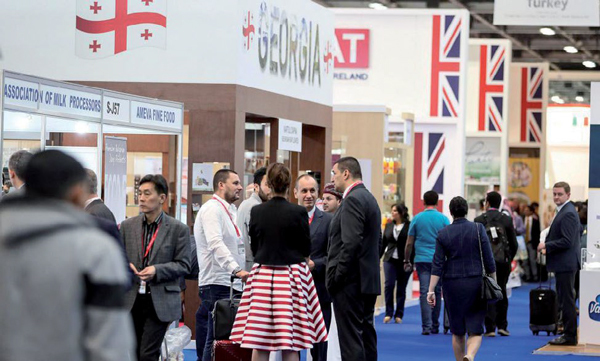 Gulfood Connexions – live on Gulfood website – helps beat the crowds and enables you to maximise crucial face-time with exhibitors. Following the success of Gulfood 2017’s revolutionary change in lay-out and format to focus on eight core sectors of the global food and beverage industry, Gulfood 2018 returns with a sectorised approach to further increase accessibility and trading potential between the thousands of exhibitors and focused buyers. Tens of thousands of finished food and beverage products will be featured in 13 halls, spanning more than 100,000sqm of exhibition space at DWTC, dedicated to eight of the biggest commodity trading sectors: Beverages; Dairy; Fats & Oils; Health, Wellness & Free-From; Pulses, Grains & Cereals; Meat & Poultry; Power Brands and World Food. The sectorised format allows visitors to get straight to business assessing quality and benchmarking price in their respective segments and leads to deeper market insights and trend awareness through focused consultation with the right experts in one place. Visitors to Gulfood 2018 will get the opportunity to sample the delights from several countries exhibiting for the first time. Among them are Estonia, Serbia and Slovakia, who will be joining the large gathering of exhibitors from 120 national pavilions. 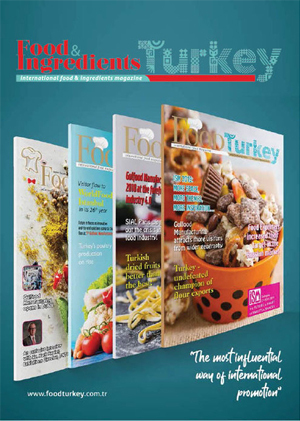 In addition to first-time participants and returning exhibitors, the truly global food industry exhibition will welcome hundreds of international heads of state, ministers, government officials and scores of national trade associations eager to ink lucrative bi-lateral trade agreements among tens of thousands of anticipated visitors. Return to Gulfood 2018 for its 5th edition, Halal World Food is a show-within-a-show concept. This major global trading platform generates lucrative investment opportunities for international F&B businesses looking to capitalise on the rapidly expanding halal sector that is witnessing significant growth in both Muslim and non-Muslim countries across the world. Reflecting the UAE’s strategic position as an international centre for halal food trading, Halal World Food showcases the full spectrum of halal products – including vegan and vegetarian food, meat and poultry, canned goods, energy drinks, gourmet and much more.